Europe has been a dream destination for almost everyone who loves to travel. Being a continent full of diverse terrain, beautiful coastlines, vibrant cities, rich history and wonderful culture, Europe sees the footfalls of millions of travellers from all around the world. But with so many attractions and activities available in every popular European destination and the steep prices, it is quite difficult to plan a trip to Europe if you have a limited number of days. However, thanks to various travel websites like TripHobo, various European destinations have come to travellers’ attention which is simply perfect for a short getaway. Here are five such destinations in Europe, where you can visit if you have a few days at your disposal. Located on the southwest coast of Cyprus, Paphos is one of the best destinations in Europe where you can travel to have a great short vacation. From gorgeous beaches to magnificent historic ruins, Paphos packs a ton of attractions for every visitor. 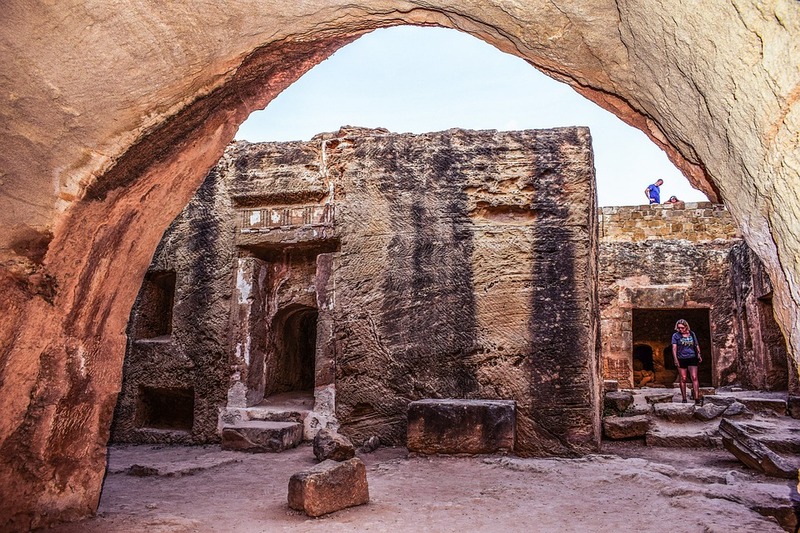 Visit the Tombs of the Kings – a UNESCO certified World Heritage Site, the Coral Bay, Petra touRomiou and the Kato Paphos Archaeological Park while you are here. The cost of flights and hotel rooms are pretty modest, which make it perfect for a short getaway. The capital city of Latvia, Riga is another great place to visit for a short vacation. The city is really cheap in comparison to other places of Europe, which is one of the main reasons why this city is great for visiting during a short break. Being a truly cosmopolitan city, you will experience a perfect mix of traditions and modern lifestyle while you are here. The city is full of amazing architectural and historical works. Take a trip to Sigulda to explore the beautiful countryside full of beautiful nature and fairytale-like castles. Italy, home to some of the most beautiful archaeological sites and architectures in the world, has been a dreamdestination for travellers since ages. However, if you do not have enough time to explore all of the Italian treasures, Cinque Terre is one Italian destination which you can easily explore in a short time. It is one of the most colourful places you can visit in all of Italy. The laid-back pace of life, the beautiful architecture, the lonely hiking trails and the wonderful vistas make it one of the best places to visit in Europe for a fulfilling yet short getaway. Budapest, the beautiful capital city of Hungary has been known as one of the most affordable places to travel to in Europe. That is why the city is extremely popular for shorter getaways. There will not be any shortage of attractions and activities while you are in Budapest. Full of wonderful architectures and natural wonders, a trip to Budapest will be one of the most memorable vacations you have ever had. One of the most popular and sought-after destinations in Europe, Paris is truly a paradise for travellers. Full of a ton of iconic sites, a short getaway to Paris will make you want to come back to Europe over and over again. Although many people think one can never spend too many days in Paris, the city is really great for short trips too. You will get to check out some of the iconic places like the Eiffel Tower, Notre Dame, Sacré Coeur, Jardin des Tuileries, Jardin du Luxembourg etc. and have a truly fulfilling European vacation experience.